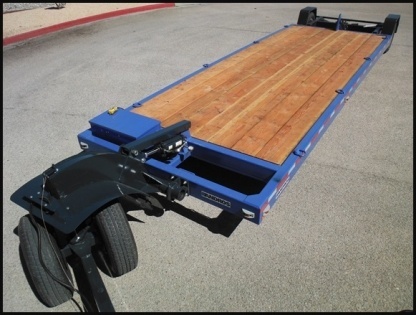 The Transport Wagon allows easy loading and unloading of implements without the requirement of field forklifts. The entire bed lowers to ground level to allow easy implement attachment or detachment. The unique hydraulic system into this transport is the most innovative design, making a practical option for users. Remote to handle heavy loads. 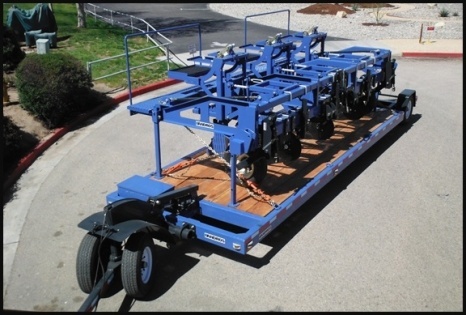 Includes a Gooseneck dolly for easy turning. 20’, 22’, and 24’ decks are available. Dimensions: 31’L (no tongue) or 37’L (with tongue) x 102”W x 7’10”H (with sled).